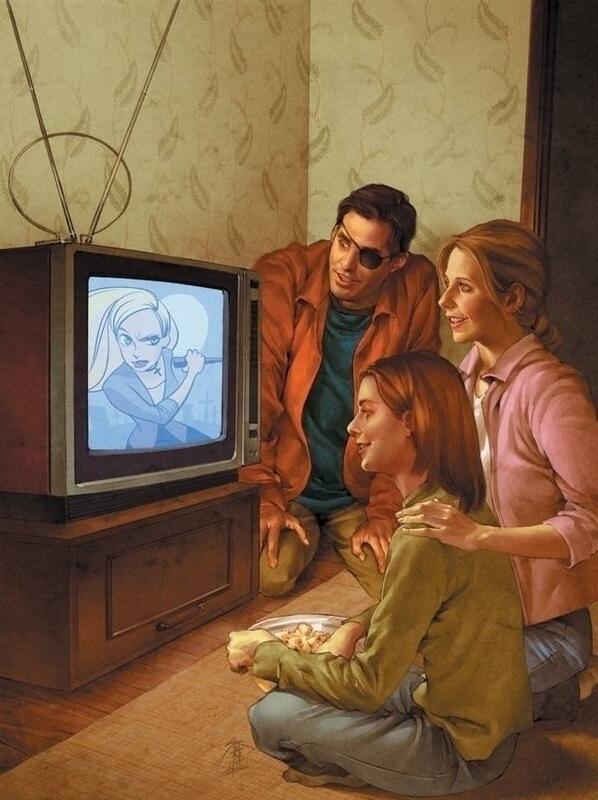 Description: Cover of Buffy the Vampire Slayer, Season Eight issue 20 "After These Messages . . . We’ll be right back!". Art by Jo Chen.